You are here: Home / *Articles of the Bound* / Is Progressivism Satanic? Yes, at first glance the title of this piece appears to be provocative (indeed, some probably stopped there and refused to continue reading). However, it is provocative only under two conditions. First, it is provocative when viewed within the frame of reference to which we’ve become conditioned – that is, that Progressivism and religion are examined as totally separate and distinct topics, a conceptual version of the so-called “separation of church and state” if you will. Second, it is provocative if this writer had deliberately crafted it just to get a reaction. Alas, neither condition applies. The title’s question is a serious one, and this piece makes a case for concluding that “yes, ‘Progressivism is Satanic.’” Regarding that conclusion, a reader’s skepticism at this stage is expected, if not encouraged. We’ve become accustomed (conditioned?) to regard Progressivism (nee Liberalism) as one of the two major political leanings and, something akin the “other” team in a sports league, vying against the Conservatives for seasonal victory and the electoral championship. But what if Progressivism is not just a political preference, but instead originates from a more powerful and sinister source – and carries with it the existential danger that origin implies? After all, if Satan is the great deceiver, would not political and cultural movements that appear to be secular in origin, actions and goals serve his purposes? Would not (secular) politics and culture be natural (if not inevitable) avenues for advancing his aims? Indeed, since his followers are by definition unbelievers, then is not some sort of secular “faith” and “church” indispensable for harnessing humans to advance his evil aims? Yes, we are dealing with intangibles – we cannot see “good” or “evil,” or God or Satan, or “heaven” or “hell” – but we can look for signs and clues, and infer from what we find. We all already do it – atheists, agnostics and believers have all pondered question(s) regarding the existence of God, but landed upon different conclusions. So for those who believe, and for all who have an open or even skeptical mind, does it not follow that once the question is raised, examining Progressivism to identify its actual origin and intentions is warranted? And for those of us inclined to oppose Satan and evil, is this not the prerequisite step to undertake if we are to have any hope of countering that force? Yes! So together, even if you approach with skeptical mind, let us consider the evidence about to be put before you. Shall we proceed? In the business world, “Six Sigma” has been widely embraced as a methodology for minimizing defects, and so improving processes and efficiencies. At the heart of this is the concept of drilling-down to “root causes” – and then addressing the ones that are responsible for the undesired manifestations (manufacturing defects and so on). In this piece, we will apply the concept of identifying root causes to the social and cultural realm and, ultimately, to the realm of faith – and, ultimately, to the nature and origins of Progressivism. As an introduction to what this would mean conceptually, let us take an example from the social realm: poverty. Poverty – having few assets, living in substandard housing or having trouble procuring enough food – is a manifestation, a result. Poverty is not a root cause, much less the root cause. Root causes for poverty instead are things such as illegitimacy (i.e., lack of nuclear families and father figures) and dysfunctional cultural morays (such as not valuing educational achievement). Alleviating poverty’s symptoms, i.e., welfare, will not solve the problem – to solve the problem one has to address the root causes. 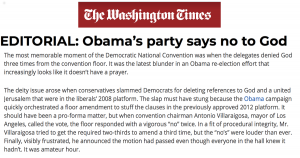 From The Washington Times, September 5, 2012 describing the anti-God majority on the floor of the Democratic National Convention. The video of this floor fight is most revealing. Those of us who are Conservatives – we who are Pro-God and Pro-American and so confront Progressivism on the political and cultural battlefields for the past century – have mostly been unsuccessful. Progressivism has successfully altered our political structure and operation, and perhaps even more catastrophically, our culture. It is still advancing, intending to irreversibly “fundamentally transform the United States of America.” We face a long struggle to halt, and then claw-back toward our divinely-inspired founding. But we will continue to be unsuccessful unless and until we accurately identify and then vigorously confront the root causes of Progressivism. We will deal with that identification, and then confrontation, in turn. 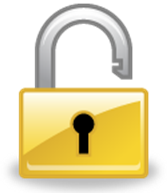 Let us begin with some working premises – feel free to remain skeptical of these premises, if you are so inclined – but we have to start somewhere and, it is submitted, by the time we conclude you’ll accept their validity. Premise: There are such things, such forces, as “good” and “evil” – and not as secular or philosophical constructs or human sociology, but something more akin to natural forces in the universe. Premise: That there is a Satan, and he is not just a force for evil in the world, but its root cause (and no, we’re not going to bow to the current Progressive fashion of using a “gender neutral” or “inclusive” term instead of “he”). Premise: That Satan’s work on this earth is a root cause of evil, and his ultimate goal is always the advancement (and dominance) of evil. Thus, some humans willingly – though many more unwittingly – are advancing his aims. That the less an individual adheres to the Word of God, the more susceptible they will be to advancing Satan’s agenda. Premise: That Satan – the Great Deceiver – has enlisted a cadre of what we’ll refer to as “Hell’s Useful Idiots.” That is, people who have good intentions, and believing that they are advancing good, but are actually serving Satan and his ends. It is said that Lenin coined the phrase “useful idiots” to describe the naïve dupes who advanced the Communist cause, yet “knew not what they do.” As we’ll see, we could fairly classify Lenin as one of Satan’s understudies, and that the actual origin of the phrase “useful idiots” – the “root cause” for the phenomenon – precedes Lenin. Premise: In turn, deploying Hell’s Useful Idiots to advance seemingly secular aims, which result in what appear to be secular manifestations – but which beneath the surface advance a root cause, advancement of Satan’s evil ends – would be within his bag of tricks. Even we humans, we mere mortals, can comprehend that! All of which brings us to Progressivism. What is it? Well to start, it is one of the four main branches of Collectivism, the others being Communism, Fascism and Socialism. Now, some of you are probably thinking to yourself “oh, there he goes being provocative again.” Not really. 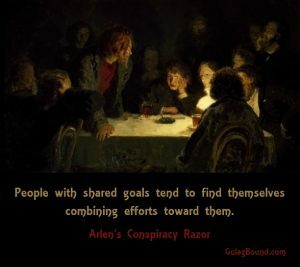 A thorough discussion of Collectivism and its branches is contained in my book Communiqués From The Vast, Right-Wing Conspiracy; suffice it to say for now that each of those branches (if allowed to acquire sufficient power) end up as totalitarian societies, and all share a “root cause” insofar as they are arms of Satan’s endeavors. In the interest of space, we won’t examine each of the other Commandments; but as a mental exercise for you dear reader, ponder the premise that each and every one of the major forms of Collectivism – Communism, Fascism, Socialism and Progressivism – oppose every single Commandment. At a minimum through encouraging indifference to a particular Commandment (e.g., keeping the Sabbath), to active promotion of conduct and behavior that is diametrically opposed to the Commandment. Consider the Progressive branch of Collectivism, as it is the dominant branch in America. It de facto practices and glorifies adultery (Hollywood), and is de facto against “honor your father and your mother” by promoting adultery, illegitimacy, “alternative” models of family and overall seeking to marginalize the traditional nuclear family. The Progressives (mostly) don’t come right out and say that they’re against God and faith, but act through “secular” appearances to accomplish the same and so (it is argued) disguise the origins, the “root causes” of the agenda. And let us not forget to mention the activities of the Progressives’ zealous litigation arm, the ACLU, that continuously uses the secular legal system to ever-further pry our nation away from its faith-based founding. Yes, so far I cannot (yet) declare that we’ve proven that Satanism is the root cause of Progressivism, but can very much assert already that the Progressive agenda is absolutely consistent with something that Satan would design to deceive and entice those inclined to a vision of a secular utopia, to a heaven on earth, to unwittingly do his bidding. This at least provides a compelling clue pointing toward an underlying Satanic purpose, does it not? It wasn’t just in 2012; again at the 2016 Democrat National Convention. 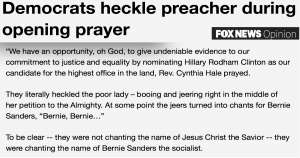 From Fox News, July 26, 2016. Alternatively, imagine the world and what it would be like if all of mankind merely abided by the underlying principles of the Ten Commandments, if not the Commandments themselves. Would not that come as close as we could ever realistically hope to come to realizing the globally peaceful, secular utopia that Collectivists / Progressives claim to be striving for? So why then are they actually working against those principles, at least in every way but lip service? Consider too how Progressives perennially speak of “forward” and the “arc of history” and such. Have you noticed that all such mantras presume a completely earthly, secular march of humanity, one that always looks “forward” but never “up” – not to mention that one can be simultaneously moving “forward” while heading in the wrong direction! To the extent that there’s an “up” under Progressivism, it’s only to the Collectivist hierarchy, the pinnacle of which will be some “global governance” structure directed by an (unelected) elite and operated through an administrative state, a dictatorial bureaucracy ruling the world’s population. Under Progressivism there is no quarter for God or a higher order – the closest that Progressives come to this is a pagan-reminiscent Gaia worship through environmentalism gone amok. While Progressives (and Collectivists overall) won’t plainly articulate it, they seek to accomplish a de facto exorcism of God from global affairs, and from the heart of man – and so truly to make earth Satan’s kingdom. 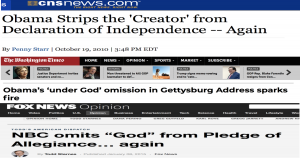 Progressives’ pattern and practice: a premeditated repudiation of God by deliberate omission of references to Him, and censoring references of His relationship with our nation’s founding. Anyway, amongst those who would attempt to identify a Commandment that Progressivism embraces, most would probably settle upon “Thou Shalt Not Kill” – claiming that Collectivism seeks not death, but things such as a “workers’ paradise” and (global) “diversity and inclusion.” Progressives will insist that they want to “Make Peace Not War” … to buy the world a Coke and teach it to sing in perfect harmony. Alas, Satan the Deceiver is no doubt smiling at this, for the opposite is true. Progressivism, along with all other forms of Collectivism, share and promote a culture of death, mass murder – just as Satan would want it. History proves that “thou shalt not kill, by the tens of millions” might as well be a Collectivist-Progressive commandment. 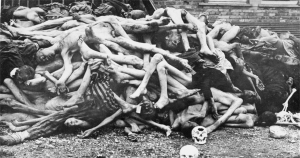 Let us begin the quintessential example of mass killing – the Fascist / National Socialist (Nazi) concentration camps. Estimates are that a total of 15-20 million died in those camps, with about six million of that total being Jews. (Isn’t it interesting that the National Socialists’ “final solution” targeted God’s chose people for extermination?) How does one explain a governing system, a regime, that as a fundamental element of its official policy commits mass murder? What drove such people? Psychiatrists deal with insanity and serial killers as individuals – but how does one account for an ideology that embraces mass murder, and then thousands, millions of “civilized” people who then embrace that ideology? After the war many Germans claimed to be unaware of the concentration camps and mass exterminations – and likely most of them were telling the truth – but still, they embraced the underlying ideology. “Hell’s Useful Idiots,” anyone? But atop the useful idiots there was the National Socialist leadership that developed the plan, and built the camps, and who knew exactly what they intended to accomplish. And executed the plan. Their administrative state – the SS and camp workers – certainly knew what they were doing. Could they all have been insane like a serial murderer, or was something else at work? Even some committed atheists, and more so agnostics, at this point must become at least receptive to “the theory” that there is such a thing as EVIL. But once one accepts that possibility, must not a follow-up question be: so what is its source? In “root cause analysis” one looks for repetition; for to be root causes the phenomenon must repeat – otherwise an “undesired manifestation” is merely a coincidence or random occurrence. So within the universe of Collectivism, were the National Socialist (Nazi) “death camps” an aberration, or a repeated phenomenon? As history shows, while abhorrent, they were anything but an aberration. Preceding the National Socialists, and continuing after, we had the Collectivist-brother state of The Soviet Union, established and run under the Collectivist branch called “Communism.” Between engineered famines, flat-out executions and Gulags, death toll estimates range from about 20 million to as high as 50 million. 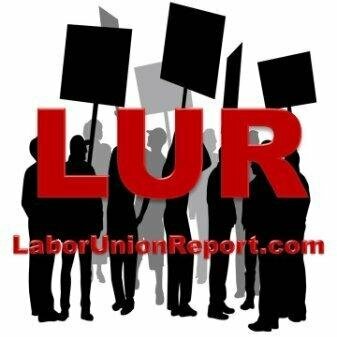 Some “workers’ paradise!” Recall that under Marxist theory Socialism – and, it is submitted, its American cousin Progressivism –are but transitional stages on the way toward the highest level: Communism. Well, Communism certainly achieved a higher death toll, and so a higher level of EVIL. 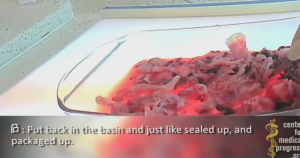 And, consistent with root cause analysis, this culture of death was a repeated phenomenon. 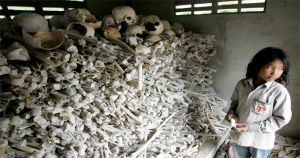 The Communist Khmer Rouge is estimated to have killed about 2 million. Communist China’s death toll estimate is around 45 million. Though perhaps smaller in scale, identical “phenomenon” have been witnessed within Communist regimes far and wide. Uncanny resemblances. On the left: Dr. Josef Mengele — the concentration camp “Angel of Death” who was interested in eugenics and performed “scientific research” on children. 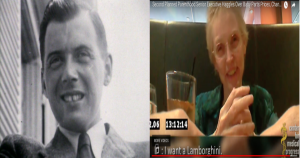 On the right: Dr. Mary Gatter of Planned Parenthood (whose founder Margaret Sanger was a champion of eugenics before Mengele came on the scene), captured on video by The Center for Medical Progress discussing pricing for aborted baby body parts for “scientific research.” And, well, so she could afford a Lamborghini (I guess that’s also a form of “choice”). Do you sense enlightened, progressive “choice” in the passage above, or Satanic evil? What does your gut tell you? If your were ordered to throw a canister of Zyclon B gas into a concentration camp chamber filled with prisoners, are you among those who would believe that your are performing for the greater good? If you were a doctor, would you be fine with thrusting scissors into a baby’s skull; would you believe that you “are protecting a woman’s right to choice?” If you do not believe, but at least accept at least the possibility that ultimately your soul will have a day of judgment, what would be your explanation, your rationale, your excuse for committing such acts? If you can’t articulate it now, how will you when the day comes? When challenged on whether your were committing “good” or “evil,” how will you possibly construct an argument for “good?” Does this not provide you a clue regarding from whose realm Progressivism is spawn? Consider this: the death toll that abortion has inflicted upon the most innocent and helpless of human beings dwarfs that of the famine and camp driven models of the other forms of Collectivism. Estimates for the United States alone total north of 50 million killed. There are estimates that the death toll worldwide is north of 40 million – every year! One can picture a hell in which Hitler and Stalin and Mao and Pol Pot and Castro and others are looking up with envious eye, while Satan approvingly gazes upon the carnage with an ever-growing smile – between abortion providers and apparatchiks and women who “choose” to kill their babies, the number of souls who have killed and so will enter Satan’s realm grows by the tens of millions each and every year. If there’s a fundamental difference between the end-results of abortion and concentration camps and killing fields, I can’t find it. This is not to say that our Progressives would not, if sufficiently empowered, also “up the ante” with their own reprise of “re-education camps” (a/k/a concentration camps or Gulags). In a telling video interview (here) an FBI informant Larry Grathwohl described a chilling exchange with Weather Underground leaders. Imprisoning Americans in camps, and killing tens of millions, was very much on the menu. Tellingly, those Weather Underground leaders have gone on to be “respected” figures in Progressive circles – most notoriously Weather Underground founder Bill Ayers, who in the subsequent years became an influential architect of our national K-12 curriculum, and a political mentor to one Barack Hussein Obama (to paraphrase a line from the movie Star Wars: “the Satanic force is strong in this one”). All of which begs the question: are Progressives themselves Satanists? Mention was been made of “Hell’s Useful Idiots.” Such individuals are focused on the secular world of entertainment, carnal pleasure and material acquisition. They have been trained / conditioned by a ever-more secular (and lowered rigor) education system, an ever-more degenerate entertainment industry and an ever-more propagandistic “news” media, and are “inspired” by a naïve embrace of secular utopianism (“social justice” and “fighting ‘climate change’” and so on). Most Progressives (and leaners) probably fall into this “Hell’s Useful Idiots” camp. For them there remains hope for redemption, if they come to see the light and repent. To the extent we can, we should reach out to them and help them to see the error of their ways. On the other hand, we have a Progressive leadership that is the modern equivalent of, the successors to, those who envisioned the death camps and then worked on their implementation (or, conversely, had it within their power to halt the implementation, but did not). Accompanying those individuals are stronger the signs of Satanic embrace, if not possession – signs well beyond the inferences to be drawn from the aforementioned Progressive agenda in opposition to The Ten Commandments – but tangible, even blatant signs. More uncanny resemblances. Baphomet. Marina Abramovic. Gotthard Base Tunnel opening ceremony. A new WikiLeaks release of stolen emails belonging to Hillary Clinton’s campaign chairman John Podesta reveal an invitation by his brother to a “Spirit Cooking dinner” at the home of artist Marina Abramovic. “Are you in NYC Thursday July 9 Marina wants you to come to dinner Mary?” Tony Podesta says in a email forwarded says in to his brother June 28, 2015. 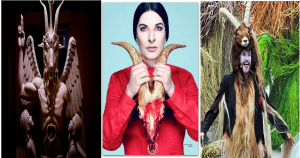 Check out the photo above of Ms. Abramovic – it is most telling. Many of us gather together for pizza and beer (or whatever), and that is perfectly normal. 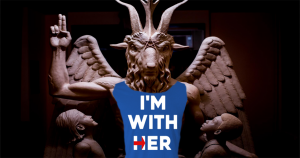 Ponder, however, what types of people would be attracted to gather for “spirit cooking” dinners? Well, Progressive leaders are. Do you feel a kinship with such Progressive leaders? Ultimately this article cannot provide “tangible proof” of good or evil, or of God or Satan. As human beings we have to look at what is available to us, ponder it, and then reach conclusions. But for those of us who believe, or are merely open to the possibility that there is an intangible force of “good” (and so its counterpart) “evil”), and that in turn those have “root causes” of God and Satan respectively, does not one then have to choose sides? And given the evidence that Progressivism is Satanically evil at its root – or at a minimum proceeds consistently with an evil or Satanic agenda – then does it not behoove us to “choose sides” and to oppose Progressivism (part of which requires helping to enlighten those who still adhere to it)? 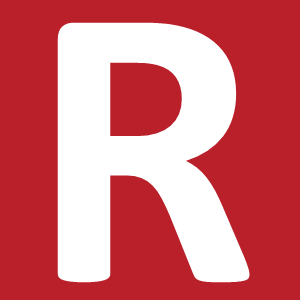 Relatedly, once Progressivism is identified as Satanic at root, if we continue to characterize (and interact with) Progressivism merely as a competing but legitimate political force, and so not actually confronting it as an evil force, are we not thereby aiding and abetting its “root cause?” Are we not compelled – called to – actively expose and oppose that evil that stalks our nation under the banner of Progressivism?